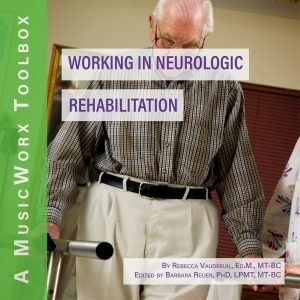 The MusicWorx Toolbox course Integrative Medicine Settings Music-Centered Wellness discusses the prescribed clinical use of music in order to stimulate positive changes through informational approaches of intentional listening, active music making, relaxation, song writing, and much more. These materials were field-tested with clients as part of an integrative medicine program to learn about the therapeutic use of music for health and well being. The course includes an extensive array of session plans and handouts on user-friendly CDs. Lists of necessary supplies and resources provide a template for therapists to create their own music-centered wellness groups. Music Making Improvisation: I Can Play What…Marimbas, Slit Drums, and Bells? References to items on the Board Certification Domains are based on the Practice Analysis Study of 2014. 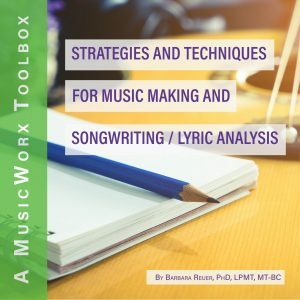 Those registered for the MusicWorx Toolbox course Integrative Medicine Settings Music-Centered Wellness will develop or improve their abilities to use music therapeutically in a variety of medical settings, including inpatient facilities, outpatient facilities, and at the bedside. Create an original imagery script to be used during music-centered relaxation exercise. Understand how creative arts with music are effective for expression with patients and as self-care. Explain at least three benefits of humming and toning vocal techniques. Describe three ways to use music for relaxation within an individual / at-home setting. Excellent course and with very helpful and relevant content. I don't have any suggestions for improvement. The material and learning experiences in the course were rich and have given me many fresh ideas. The Integrative Medicine Settings Music-Centered Wellness course gave ample ideas and variations of sessions to utilize with my patients. I really like the material / information on drumming, toning, and improvisation, as these are areas where I am not as confident. Thank you for creating these Toolbox CMTEs! This is my first one, and I look forward to ordering more. My soul, spirit, and well-being have been touched and restored. I feel motivated and rejuvenated as a music therapist! I enjoyed being introduced to interventions that I have not used before. The sessions were clearly formatted. I was able to complete course on my own pace. The course boosted my confidence with wellness/relaxation practices in music therapy sessions. Barbara . . . the Toolbox is here . . . yay and thanks. It's perfect (of course). The intro to music therapy section literally follows what I had in mind to do. I will create my Power Point presentation and a few alternative or extra tools in terms of handouts / worksheets (stuff I've used over the years and am comfy with in structure). When it's all done, I'll send it to you as an attachment for a look-see. Among all the CDs gathering dust in my collection was the Tune-the-Brain one . . . go figure. Thanks again for this wonderful and practical resource . . . stuff we do but never have time to write out and fix in some manner that doesn't destroy the in-the-moment creative process with the people we are presenting to. Yay!